CARGADORES DE BATERIA STERLING PRO CHARGE ULTRA 12V 3 SALIDAS 20Amp. / 30Amp. 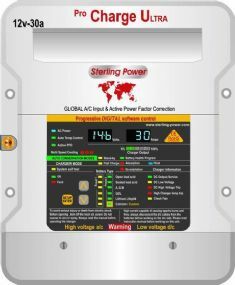 CARGADORES DE BATERIA STERLING PRO CHARGE ULTRA 12V 3 SALIDAS 40Amp./50Amp./60Amp. CARGADOR DE BATERIA STERLING PRO CHARGE ULTRA 24V 3 SALIDAS 20Amp. / 30Amp.